The massive growth in tablet and smartphone sales has had an inevitable effect on how people access and use the internet. This has led to a debate on whether a responsive website or separate mobile site is the right choice for businesses. Having the same content on a mobile site as your regular site creates two potential destinations for your online visitors, which could split your traffic and affect search rankings. A responsive design mean that one site suits many devices, so there’s only one set of urls and HTML code for Google to crawl and index. Users can also interact with your content (those all important shares, comments and links) in one place. Multiple sites means managing multiple content and SEO campaigns = more work for you. As people turn to their mobiles to access the internet, mobile-specific SEO campaigns are becoming necessary though. A responsive site should and can accommodate this. Deciding on which content you’re going to have on your mobile site compared to your regular site requires a lot of thought and the process isn’t always straight forward. If a visitor expects to find information from the desktop site on the mobile site and it’s not available they will be frustrated. If a visitor accesses your regular site through a device and it’s not easily readable they will go elsewhere. Either way, bounce rates are bound to go up, affecting your rankings. A responsive site works well regardless of device and screen size, delivering a better and more consistent user experience. Visitors have access to all the content they might want, in a format that they can navigate and read easily. 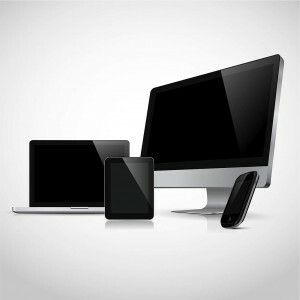 So is responsive design right for you? As always, your choice comes down to considering your specific needs such as your website objectives and target audience. Responsive isn’t the easy option, it also requires careful thought and planning. There are also some situations where it might not suit, for example if you have a large, complex website with a lot of content items and interactive functionality. But in the main, responsive is becoming the standard way of accommodating the multiple device world we’re now in, and now is the time to seriously consider it for your website. We build responsive websites for businesses from all sectors, from manufacturing to services. If you’re looking to update your site, please get in touch on 0161 875 2528.